“So, what exactly is digital printing?” you might ask. In a nutshell; modern printing methods such as laser and ink-jet printing are known as digital printing. 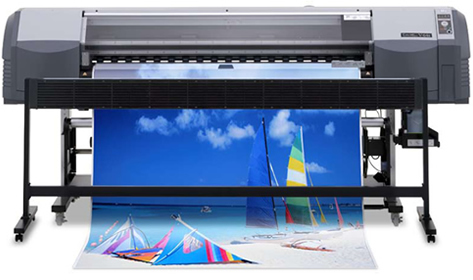 In digital printing, an image is sent directly to the printer using digital files such as PDFs, through the use of graphics software such as, Illustrator and InDesign. Digital printing eliminates the need for a printing plate, such as that used in offset printing; this in turn, saves time and money! Therefore, digital printing offers faster turnaround, because of the elimination of those printing plates. The files go directly to printing press. When is digital printing used? The best use of digital printing is when a project requires high amounts of detail. The fact that the digital printer does not use screens, gives us the ability to reproduce a photographic print, with much more detail than would be achieved with traditional screen printing. Because the ink is applied in lesser amounts…or more thinly, (to achieve such detail), digital printing is best used on lighter -colored shirts. This then allows the design to shine through. There is so much more benefit to this process, and other times where it is appropriate. Here at, Weeks & Reichel, in Long Island, we welcome your questions and do not feel the need to “keep industry secrets,” as it were. Our printing professionals are here to answer all your questions and appease any worries you many have about your project. Why not give us a call, today, and get started on the way to the completion of a successful and professional printing project? Many businesses in Long Island, already have!